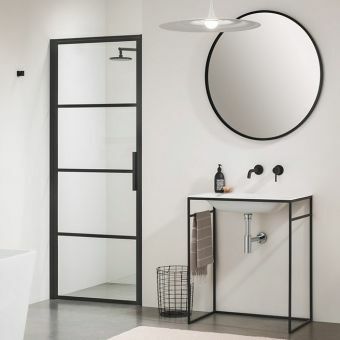 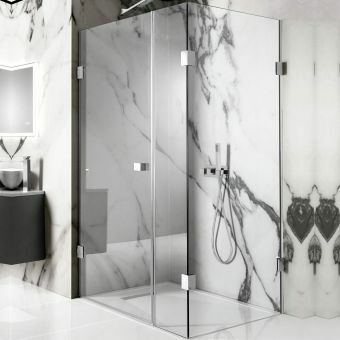 The Soho range by Impey is a fantastic contemporary matte black powder coated steel framed enclosure and wetroom screen range. 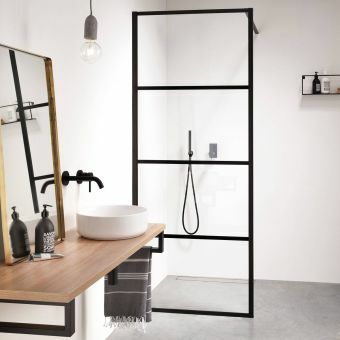 Create a bang up to date look straight from the pages of your favourite interior design magazine with the Impey Soho range, its black frame and handle with black silk printed grid effect was inspired by high-end luxury apartment loft living style in New York, think of open plan lofts in Manhattan or the ranges namesake Soho. 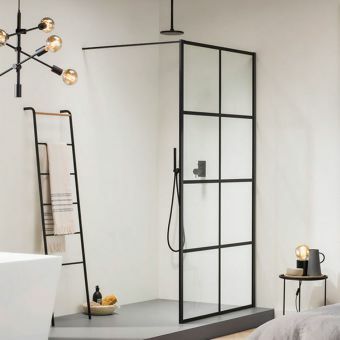 The black frame echoes an industrial feel without being overly bulky. 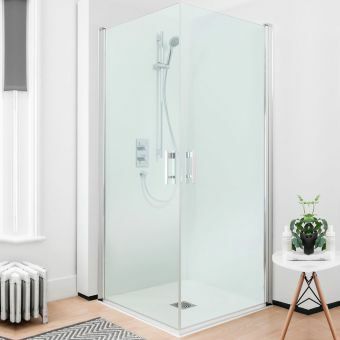 However, this range is anything but basic, its utilitarian looks are complemented with luxury shower screen features such as an easy-clean coating, as the framed effect is printed onto the glass there are no recessed areas for dirt to gather, the Impey AquaShield easy clean repels dirt and helps keep the glass looking cleaner for longer. 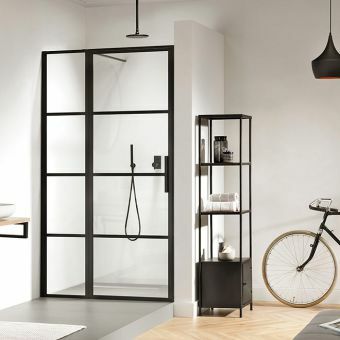 The glass is 8mm thick safety glass and the frame is made from steel with a powder coated aluminium matte black finish. 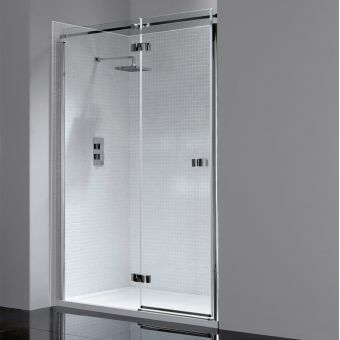 At a generous 2100mm in height taller members of the household won’t feel cramped, the height of the enclosure adds to its luxury aspects. 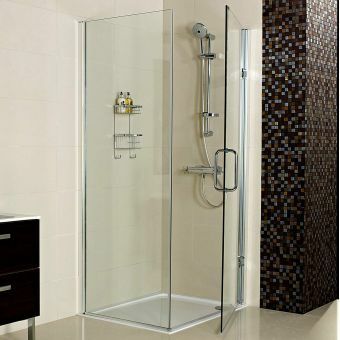 This enclosure is designed for a wet room straight-to-floor installation. 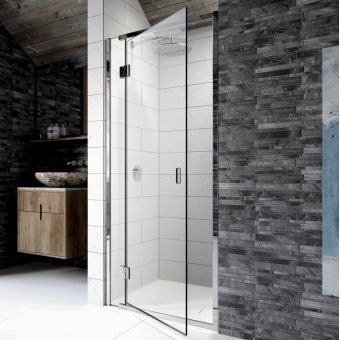 The enclosure comprises of 2 elements, firstly the door and inline panel which form 1 side, secondly the side panel which forms the second side creating a corner enclosure should you wish to add the side panel. 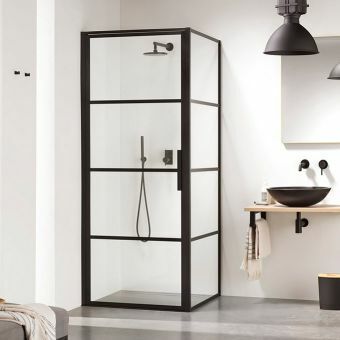 Wall fixings are included, should you require a matching black shower or taps simply contact our sales team!